Wisconsin, Minnesota DNRs to discuss bag, size limits on Mississippi. LA CROSSE, Wis. -- Departments of Natural Resources in Wisconsin and Minnesota will hold five public input meetings in mid-May to kick off a multi-state review of bag and size limits for gamefish on the Mississippi River between Hastings, Minn., and the Iowa border. •May 14, Red Wing, Minn., Twin Bluff Middle School, 2120 Twin Bluff Road. •May 15, Wabasha, Minn., Wabasha-Kellogg High School, 2113 Hiawatha Dr.
•May 16, Prairie du Chien, Wis., Prairie du Chien City Hall, 214 E. Blackhawk Dr.
•May 17, La Crosse, Wis., DNR Service Center, 3550 Mormon Coulee Road. •May 22, Winona, Minn., Winona Middle School, 1570 Homer Road. While the meetings will include a brief overview of existing and historical regulations for gamefish species on this stretch of the Mississippi, most of the time during each session will be devoted to gathering input. "The process will help DNR biologists determine what the public is interested in regarding the diverse fishery in the Mississippi River," says Jordan Weeks, Wisconsin DNR Mississippi River fisheries team supervisor in La Crosse. "This process will help us formulate potential new fishing regulations." Kevin Stauffer, Lake City area fisheries supervisor for the Minnesota DNR, says the agencies don't have any specific proposals for changes to bag limits or size restrictions. "But many of these regulations have been in place for 50 years, and we'd like to hear what people who fish the river have to say about them, and whether they think any changes are in order." The Minnesota and Wisconsin DNRs are working together on the review with an eye toward maintaining consistent regulations on the Mississippi River flowing between the two states. All gamefish species will be discussed, including sunfish, crappie, largemouth and smallmouth bass, northern pike, white bass, walleye, sauger, catfish and yellow perch. Input gathered from these meetings, along with other fisheries data, may be used to develop recommendations for possible regulation changes that are agreeable to both states. After that, each state would have to go through its own official rule making process, with additional opportunities for public comment. The earliest any changes might go into effect would be 2020. Ok! Ok! Reb I see ya already posted dis. A proposal to reduce the combined daily bag limit for walleye and sauger is among those on the table as natural resource departments in Minnesota and Wisconsin consider fishing regulation changes on the Mississippi River. 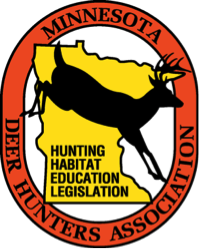 The Minnesota DNR and Wisconsin DNR will co-host three public open houses in November to discuss the proposed changes to bag and size limits for gamefish on the Mississippi River between Hastings, Minn., and the Iowa border. Nov. 13, Red Wing Environmental Learning Center, 442 Guernsey Lane, Red Wing, Minn.
Nov. 14, Winona Middle School, 1570 Homer Rd., Winona, Minn.
Nov. 15, State Office Building, 3550 Mormon Coulee Rd., La Crosse, Wis.
Reducing the daily bag limit for sunfish, crappie and perch from 25 for each species to 10 or 15. Reducing the combined daily bag limit for walleye and sauger from six to four, with one over 20 inches, and an option to further reduce the bag limit for sauger in Pools 5 through 9; the existing 15-inch minimum length for walleye would remain. No changes are being proposed for regulations on largemouth and smallmouth bass. The earliest any new regulations might go into effect would be March 2020, and there will be additional opportunities for public review and input in both states prior to any final decisions. The open house meetings will consist of several stations highlighting fisheries data and proposed rule changes for different species. No formal presentations will be provided, but information will be displayed on poster boards and staff from Minnesota and Wisconsin DNRs will be available for questions and discussion. Those interested in the regulation proposals are invited to come any time during the two-hour meetings. An online survey will be available for people unable to attend one of the open houses. Comments and completed questionnaires on the regulation proposals will be accepted through Nov. 30. Feedback will be used to assemble a final recommendation on regulation changes.